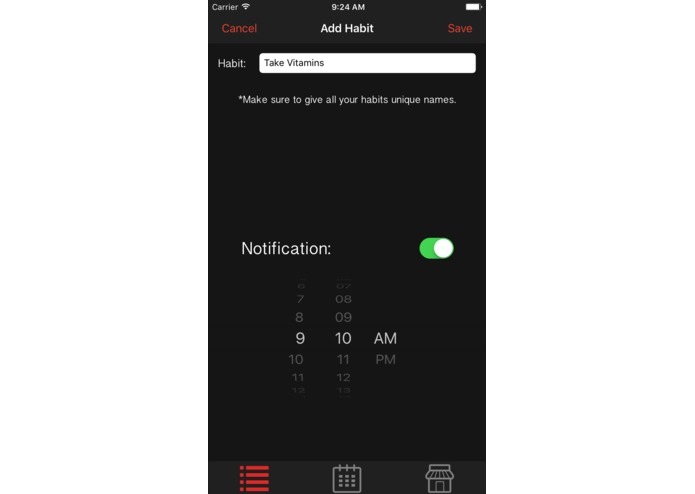 Features daily notifications, a tracking calendar and a points system to help users start and keep good habits. Personally, I have had a hard time starting and maintaining good habits. This summer, I planned to start brushing my teeth twice a day and start this whole new skincare routine. Both came to a quick end. 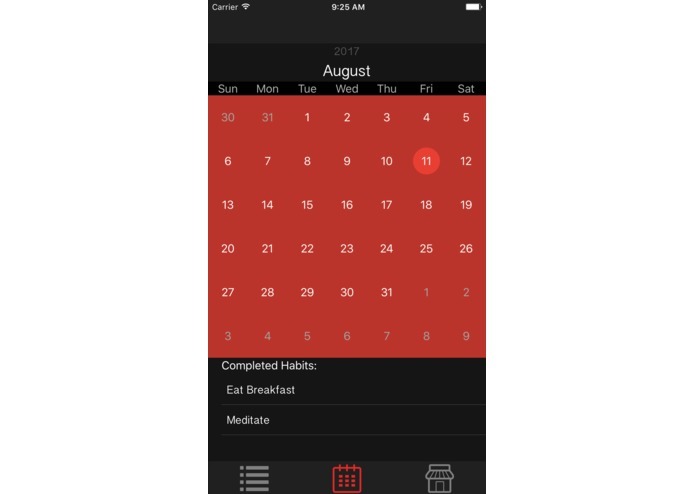 I wanted to build an app that helps me and others in my community fight the problem of constantly forgetting to do daily tasks. 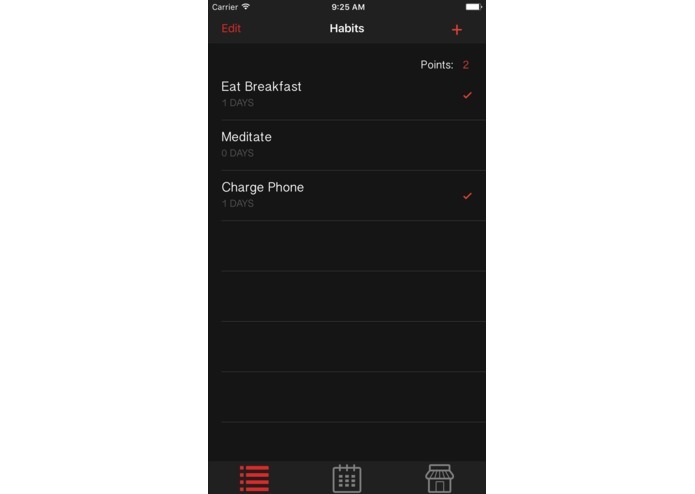 Users put a list of the tasks they want to track, as well as the time of day they want a notification for it. After they complete a task, they can check it off their list and track the progress of their habits on the calendar. 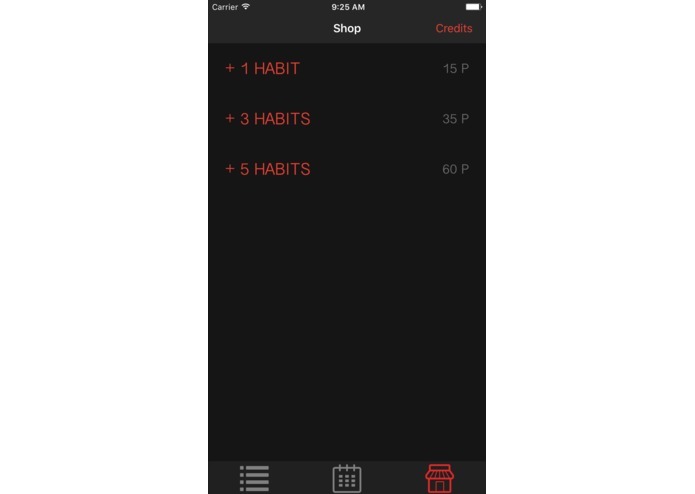 They also get points for each habit they complete and they can use those points to add new features to the app. I built this app using Swift 3 and Xcode 8. I used the UIKit and UserNotifications to set some of the features of the app, as well as the JTAppleCalendar library to build my calendar. There were many times when the features of my app won't work -- mostly the notifications. I also had problems with saving the data and recalling it in other view controllers. I am proud of challenging myself to learn this new language and apply it by building this app all in 8 weeks. I learned the complete process of creating an iOS app using swift 3 and I became more familiar with Github. In the future, I plan to implement more features such as connecting with your friends to encourage group habits, such as no chocolate for group diets.